In tranquil garden on outskirts of medieval wine village of Neffies. 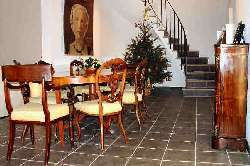 Main House : 2 sitting rooms; dining room; kitchen; laundry; cloakroom; large covered terrace. 4 d. bedrooms; bathroom with WC, separate WC, wetroom shower. 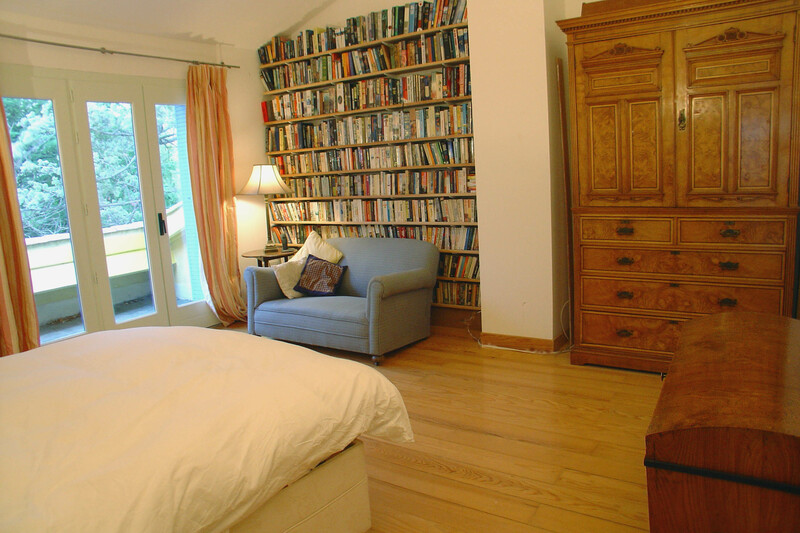 Ground-Floor Apartment: separate entrance & private terrace; wheelchair-friendly. 2 d. bedrooms, each with en suite bathroom; kitchen/diner. Satellite TV, DVD, VHS, aircon/central heating, BBQ, secure parking. There are two swimming pools. The first, fringed with mature palms, fig and bamboo, measures 10.5m x 5.5 m, and has a poolhouse with kitchenette, shower and W.C. 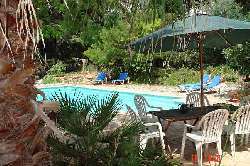 The second, available from 2006 during the cooler months or by special arrangement, is an indoor/outdoor heated pool equipped for counter-current swimming/aqua-aerobics, adjustable to suit all levels of fitness. Its adjoining glazed terrace provides a sunny haven on cooler days. DOWNSTAIRS: spacious salon; dining room with table capable of seating 10 people; 2nd sitting/TV room with satellite TV, DVD & VHS,cloakroom/w.c; super new kitchen with 2 dishwashers; laundry (large fridge/freezer, washing machine and dryer); large covered terrace adjoining kitchen with tables for 12 and gas BBQ (ideal for alfresco meals). UPSTAIRS: 4 bedrooms (2 double, 2 twin) of which 2 have large private roof terraces; full bathroom; separate large wetroom shower; separate (2nd.)WC. may also rent the adjoining, but entirely self-contained, 2 bed Ground Floor Apartment. It is only available together with the Main House. Rental charges for both properties combined are shown below. Wheelchair-friendly, the Apartment offers 2 bedrooms (1 double, 1 twin)each with own en suite bathroom, plus kitchen/diner, dish- and clothes- washers, private terrace and garden, BBQ, satellite TV, DVD, VHS. It has full aircon/central heating. Access is either via its own private entrance or from the Main House via inter-communicating, sound-proofed doors. Le Parc, unlike so many rental properties, is occupied by its owners for most of the year as their principal home and is equipped and decorated accordingly.